We are here to support you as you explore your passions and identify your purpose. 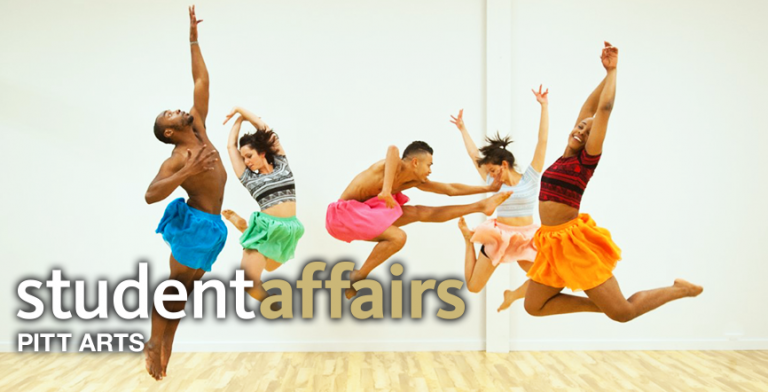 PITT ARTS is dedicated to helping Pitt students in all majors and academic disciplines discover and attend performances, tours and hands-on activities– known as our Free Arts Encounters. Undergraduates at the Pittsburgh campus enjoy more than 100 Free Arts Encounters, Free Museum Visits, our Cheap Seats program and Artful Wednesdays. Graduate and Professional Students at the Pittsburgh campus are offered Free Museum Visits, Artful Wednesdays, and may purchase Cheap Seats. Faculty and Staff at the Pittsburgh campus may purchase Cheap Seats and are welcome to see Artful Wednesdays performances via PITT ARTS. We are excited to connect you with the vibrant arts and culture scene of Pittsburgh! The arts gets us thinking deeply, makes us laugh, causes us to question the world as it is, helps to build a diverse community international awareness, beautifies our world & nurtures our spirits. These are but a few ways that the arts makes our lives that much richer. Click HERE for more information on Free Museum Visits and a list of participating museums.